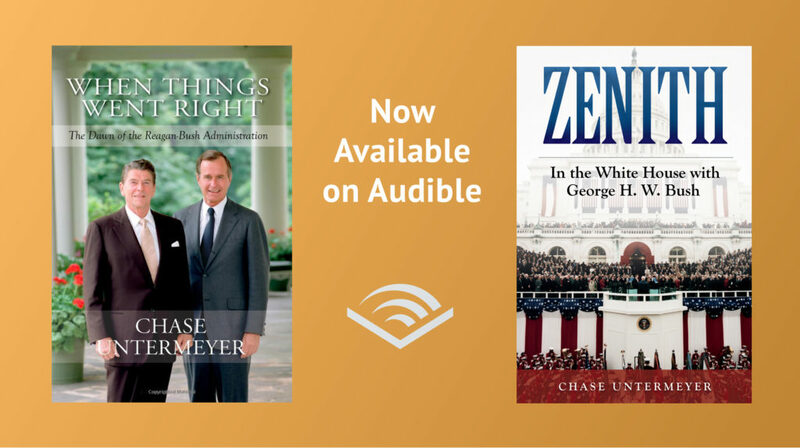 Among other luminous titles conferred by the executive branch, Chase Untermeyer headed the White House personnel office under President George H.W. Bush. He knows the prickly ins and outs of filling job vacancies at the White House — including the deadly “anything else we should know?” question that has derailed a good number of contenders. 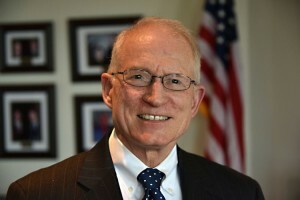 Untermeyer, who has lived most of his life in greater Houston, served as Deputy Assistant and Assistant Secretary of the Navy under President Ronald Reagan. Nearly two decades later, President George W. Bush appointed him Ambassador to Qatar. The 70-year-old Vietnam veteran’s resumé includes posts in Harris County government and in the Texas house, an administrative gig at University of Texas Health Science Center at Houston and a three-year stint covering politics for the Houston Chronicle. These days, when he’s not traveling, he works out of a top-floor office suite in Memorial, adjacent to Bush Senior’s private office suite. He has been friendly with the elder Bush since he first helped on his campaign for Congress in 1966. 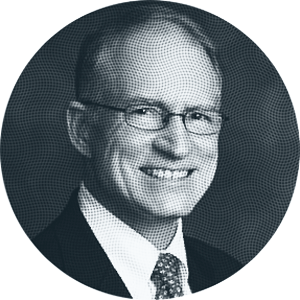 Untermeyer was a Jeb Bush supporter in the 2016 GOP race. He agreed, however, to shed some light on the daunting task of staffing up the White House under a Trump Administration. You have worked during the transition from one president to the next, and you’ve also written about it. What is the normal procedure? We’re talking about 300-plus positions that have to be filled? The minute you win the election, do you have to fill all these jobs? Well, in recent weeks we’ve seen this number — 4,000 political appointments — that seems like a wildly inflated number and must include such things as members of part-time advisory boards or lower-level political appointees who are going to be the briefcase carriers for cabinet secretaries, as opposed to the principal policy jobs that require Senate confirmation. Now the question is, how many are those? I would say it’s under 1,000, probably about 750. That’s an impossible number to fill in a short amount of time, certainly in the weeks between the election and the inauguration. For the last many administrations for both parties, it has taken ever longer to get all the policy positions requiring senate confirmation in place. Under George W. Bush and Barack Obama, it took a full year before all those positions were filled. Those jobs range from what to what? Jobs that require senate confirmation have titles like secretary; deputy secretary, typically the number two in a cabinet department; undersecretaries, who are senior policy people; assistant secretaries, who are the principal spear carriers in specified areas. By far the assistant secretary positions — my guess is 200 or 300 of them — that’s the most critical because they’re the ones who interface with the bureaucracy, Congress, interest groups, the press and other departments of government with whom they may be in agreement or disagreement. Those particular jobs take a long time to fill. Do you start at the top and work your way down? What we’ve seen in the Donald Trump era is fairly typical. The new cabinet is all decided and announced before the inauguration, but it’s not yet in place because that requires Senate confirmation first. In this administration, they’ve also announced some jobs sooner than under other administrations, like ambassador to China. Do those are top-of-the-line choices go first and then assistant secretaries and undersecretaries, and then the federal judges? Well, this all happens at the same time. People who are deeply concerned about things regulated by the FCC are going to say, “You’ve really got to fill these right now. This is more important than anything else you’ve got to fill in the federal government.” That may cause things to be forced to the front of the list. Likewise, we have cabinet secretaries that are going to be confirmed. And they’re going to look around at their departments, and there won’t be anyone else with a Donald Trump stamp on them. There will be vacant chairs or holdovers from the Obama Administration. Now typically, all the appointees of the opposite party are flushed after the 20th of January. But these cabinet secretaries are going to fill out the ranks of appointments within their departments. They’re all presidential appointees. But cabinet secretaries often — very arrogantly, in my point of view — call those under- and assistant secretary-ships “their” appointments. They aren’t. They’re the president’s. How do you find candidates for these jobs? At the opening stage of an administration, you do not have to worry about finding names. The problem is fending off names. Because they’re going to come from all kinds of sources. Cabinet secretaries are going to be pushing people that may or may not be the kind of people the president wants. They may have said nasty things about the president. But the cabinet secretary is going to cry bloody tears to get them in position. You’ve got important members of Congress, senators and committee chairmen in the Senate, who want their staffers in the job. Other sources of names flood in from prominent donors and party chairmen and governors and members of the president’s family, and from influential lobby groups like the NRA, AIPAC (the American Israel Public Affairs Committee), and the right-to-life contingents. All of them will have candidates. The problem at that point is trying to put together an administration of quality and of loyalty and of at least an acceptable level of controversy. Whether this person has got a very complicated portfolio, whether they’ve given fiery speeches or written controversial books in the past — all those kinds of issues have to be sorted out in the context of the politics of personnel, wholly apart from can this person do this job or is this the right fit for that particular appointment? It’s much later in the life of an administration, at the earliest in the second year, when the personnel office in the White House is able to act like an executive search firm in the corporate world, where they go out looking for people. How do you vet people? There are three discrete phases to this — the selection process, which is what we’ve been talking about; the clearance process, which is the vetting that counts; and then comes the confirmation process. Each of these phases can take a long time and have their own controversies. With selection, first off, is this the kind of person we want? Forgetting for a moment if they’re qualified to do the job, is this a person who is a loyal supporter of president that is going to carry out the president’s agenda? The other matched concern is, can we get this person confirmed? Is this person going to cause any controversy? Everybody has to fill out two important masses of forms. The first has to do with their background — every house they ever lived in, even when they were children; every job they ever had and the name and telephone number of their supervisor; every school they ever went to; and every country they visited. And then there will be catch-all questions, like, have you ever taken drugs? Have you ever been convicted? Sued? Do they ask about every person you’ve dated? [Laughs.] No, but they will ask, in effect, do you have a divorced spouse who is going to want to get even with you and make nasty comments? Do they ask if you’ve been faithful to your spouse? I mean, on the paperwork, do they ask? They didn’t in our day. I don’t know what they have done in subsequent administrations. Then, finally, there’s a catch-all question in hopes that people are going to fess up: Is there anything else in your past else that would embarrassing to you or the president? And you really do see things like that? Yes. Well, that’s rather extreme. [Laughs.] No. But people are hesitant to admit things that they don’t want anybody to know. Ever. Including the White House. For fear that it will leak. What is more typical are well-off individuals who never pay taxes; they are in arrears to the IRS. We’re not talking about Donald Trump being smart enough to avoid paying taxes because he took advantage of the law. There are people who just violated law by not paying taxes. It’s amazing the number of times that will come up in these background tests. It’s also amazing that people are willing to put their names forward knowing this. Somehow they’re thinking it won’t come up. How often is the person paying wages in cash to a housekeeper or babysitter? Is that often an issue? Well, that became an issue at the start of the Clinton Administration. Now it’s asked of everybody. Sophisticated readers of those forms can identify the particular scandal and the particular year it occurred. Like, oh, that’s “the nanny question.” Or that’s “the pot-smoking judge question.” That’s “the randy senator question.” Every new administration invents or is the victim, you might say, of some new sin. In this administration, one’s business dealings are all being thrown about. It’s very clear there’s potential controversy if not provable conflicts of interest that come to the fore. We have the president basically saying that his family can run his business empire and that’s legal, whereas for everybody else they have to divest themselves. Rex Tillerson has to in order to take a federal position. How does the Trump transition compare to your team’s transition at the White House under George H.W. Bush? George H. W. Bush was exceptional. Having come up in government, he knew every member of his cabinet before he named them. Whereas the typical president, including George W. Bush or certainly Donald Trump, they’ve never met or even heard of their cabinet members until the process delivers a name to them. When you were director of personnel, how did you prioritize loyalty, experience, diversity, insider or outsider status? Which of these things was paramount and which was icing on the cake? The standard I used — and I contend everybody should use — is that the one quality above all is ability. In the world of Washington, what does it take to be a success? You have to deal with your own bureaucracy and with the other departments of government. You have to deal with the committees of the Congress that authorize legislation and appropriate money. You have to deal with interest groups. You have to deal with the press. And you have to deal with the recipients of your services, whoever they may be — farmers, members of the Marine Corps, forest rangers. All those are factors to be considered. So you’re looking for ability and what else? Loyalty and ability to uphold the president’s agenda. This whole process of fairly high-level political appointments is not about patronage, awarding people who did campaign work and made campaign donations. It really is the workings of democracy, because in the current case people went to the polls and voted for Donald Trump. They took him on his word that if elected he was going to carry out the programs on which he was elected and would appoint people to offices who believed in those same things and advance that agenda. It’s also important because every administration has its rough patches. You want people who are going to be loyal to the president. You don’t want them to call up their friend at the Houston Chronicle and start complaining about the idiots over at the White House who don’t know what they’re doing. Now let’s talk about diversity. Diversity doesn’t just mean men and women and people of different races. Lots of kinds of diversity have been at play in appointments since the beginning of the republic. You start with geographic diversity, particular states will complain that they are not adequately represented in the administration. There are religious groups who will take note that you have or have not had enough high level people of their faith in positions. We now recognize that gender, race and ethnicity are important dimensions of diversity. Anything else that’s remarkable about the transition process ? The transition is that ten-week period between the election and the inauguration. But in practical terms transitions extend deep into the first year of a modern president. President Kennedy, we are told, was able to fill out all the senate confirmed ranks of his administration in two months, whereas it took George W. Bush and Barack Obama a year or more because of the growth of federal government, which adds offices and bureaus. Those just add to the appointments presidents have to make. How many political appointments have you held in your lifetime? I’ve been through it three times, in each of the last three Republican administrations, and I was given an appointment to White House staff. What’s it like to be on the other side, being vetted? For the nominee, every hour is like a day. They sit, literally or figuratively, by the telephone waiting to hear their fate. Think of a working lawyer. Certainly, it’s an honor to be considered, but what do you do about pending cases back in Oklahoma City? Or if you’re a business person, do we merge with this company? Do I leave all of this behind? Are there universal truths about the presidency? Every new president talks about changing the way Washington works. The sad truth is — and this is I think going to be proven once again in the Trump Administration — that at the end of day when you look at who has filled the majority of the jobs we’re talking about, the vast majority are going to be people who are right now living in Washington, D.C., and environs. The Washington hands — lawyers, lobbyists and trade association people and a few journalists — are insiders with a vengeance. They know the policy involved in these jobs from active dealings. And they’ll know the politics — how you get these jobs and how you deal with a confirmation process. They have been politically active. They have given money to congress. They have gotten on the telephone to the White House. A very practical matter is, they are already there, They already have a house, a school, a job for their spouse, a vet for dog, and the car is registered, and they know about income tax for Maryland vs. Virginia vs. District of Columbia. I know you’ve been a reporter before. Is there anything that strikes you about the way Trump is interacting with the press? It definitely seems that he is very aggressive with unvarnished zeal against people he disagrees with in the press, whereas most presidents have at least put on a show of being open-minded and willing to accept questions and comments from the press, who they know are not friendly but they figure that’s part of the game. Donald Trump is a whole new game. We will see if he’s more or less successful than his predecessors by taking that stance. You’ve written a book about how to act in the world. Does being “presidential” matter? It certainly does. Sometimes it takes very superficial forms, but they have meaning. For example, Ronald Reagan and later George W. Bush never took off their jackets in the Oval Office. That’s because they had so much respect for the history of the room and the office of the presidency that they showed it by way they dressed — even in private. That’s an example where looking your best does have a significance. I don’t think Donald Trump has a historical view of the presidency. He looks upon it as the latest achievement in a stellar life. He will forge his own way. The traditional ways of being president are very important because they also effect behavior, not just the way you look. I’m fairly confident that he lacks the historical context. Maybe that’s asking a lot of a modern person. Maybe it’s just us history nerds who care. But I do think he has a certain degree of disdain if not contempt for the way things were done in the past. It is the nature of our government that every time this is done, it’s done by people who have never done it before. That’s just because we have new presidents who have different supporters and different ways of doing things. Because every president brings in their own loyalists and close associates, this job of filling out the government is always done by first timers. That’s just the way it is. Everybody learns it on the run.